Earlier this week a Muslim woman dressed in black beheaded a three year-old child then walked through the street with the baby’s head. The Muslim woman was shouting “Allahu Akbar” and threatened to blow herself up. She was detained by Russian police near a Moscow metro station. Russia Today wrote more on the killer. According to LifeNews, the victim was a girl, identified as Nastya M. After the murder, the female suspect went to a metro station, where she was stopped by a local police officer. She immediately took the severed child’s head from her bag and started shouting that she had killed the child. The suspect is currently being detained by police authorities, Russian media reported. 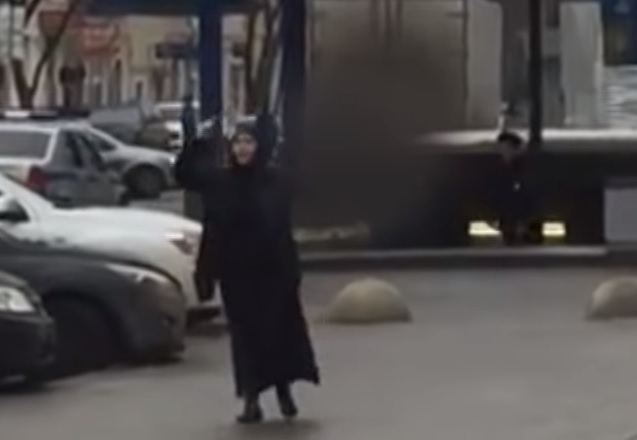 Today the Muslim woman told a Russian court that Allah ordered the beheading.